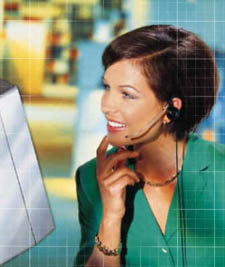 Brolin offers a wide range of software and information services. These services our summarized below. Please feel free to call us for additional information or to discuss your specific requirements. We are available by phone at 949.595.8300 between the hours of 9:00 AM and 6:00 PM PST or you may contact us by email sales@brolin.net. Brolin is available to assist you with the selection and implementation ofa variety of technology solutions. The Brolin Development Team delivers quality software solutions quickly and at affordable prices. Let Brolin harvest and normalize valuable data for you! Brolin offers full service support for its custom software solutions and products. The Brolin Help Desk is available to assure the ongoing success of your system. The Brolin Development Team offers ongoing maintenace of its custom software solutions and products. The Brolin Development Team offers professional quality documenation including user manuals, technical guides, tutorials and on-line help. Brolin's onsite training will get your staff up to speed and immediately productive. Brolin provides full sevice Web hosting of its custom software solutions and products.